The Low Profile King Bed Frame, from Glideaway, lowers bedding 3 1/2 inches, making it easier to get into your bed. 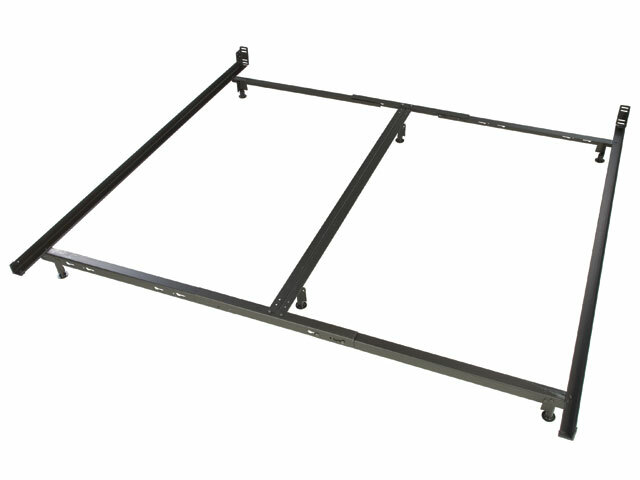 Made with heavy duty offset headboard brackets with additional slots to fit more headboard widths. Includes glides that distributes the weight of the bed over a larger area and allows the bed to sit firmly on the floor. The Low Profile King Bed Frame, from Glideaway, lowers bedding 3 1/2 inches, making it easier to get into your bed.